Facebook's growth rate for its user base is continuing to decrease while Google+'s user base is growing, and at the same time when Google+ just experienced its biggest traffic month of all time. As All Facebook reports, in the 1,001 days from April 1, 2009 through Dec. 28, 2011, Facebook added 609M, with averages of around 600K per day and seven per second. But according to Optim.al, that growth rate has tapered off. While Facebook's growth soared to 8.39 users per second from July 2010 through March 2011, it slowed to 7.02 users per second from March 2011 through Sept. 2011. 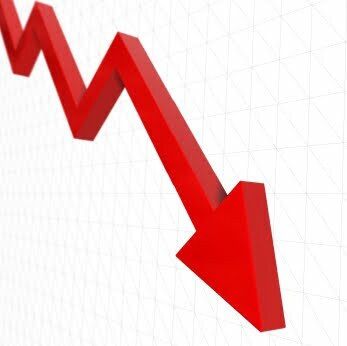 From Sept. 2011 through Dec. 2011, growth dropped to five users per second. Last month, an unofficial Googler revealed how Google+'s growth is accelerating, noting how it recently passed 62M users and adds 625K users per day. Still, Facebook has 800M active users with more than half of them logging in every day but Google+ has yet to disclose its number of active users. "Based on the accelerated growth I'm seeing and all the dials and levers Google can still utilize, and the developer ecosystem that will be developed, I predict that 2012 is going to be a breakout year for Google+ and that it will end next year with more than 400 million users," Paul Allen, self-proclaimed Google+ unofficial statistician writes on Google+. Just yesterday, Experian Hitwise revealed that Google+'s total US visits hit 49M+ in December alone -- 55% up from November -- which further confirmed Google+'s accelerated growth. Still, Google+ is nowhere near the number of users Facebook has, despite Facebook's decline in growth. "One reason for the growth slowdown may simply be saturation," David Cohen of All Facebook rightfully writes. " Most Internet users who are likely to be Facebook users already have accounts, so growth is restricted to new Internet users and a few hold-outs."